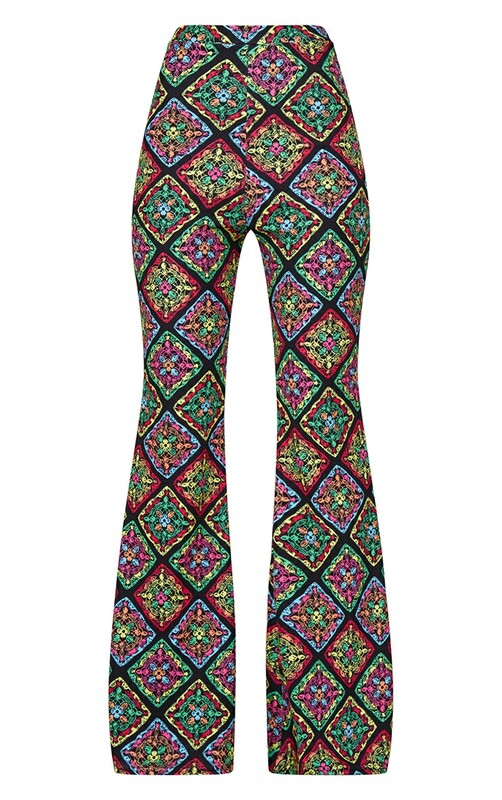 Get festival ready with these trousers girl. 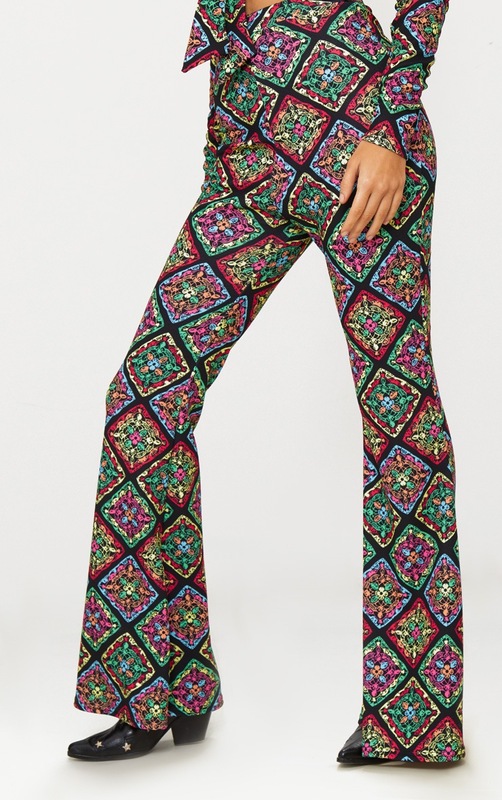 Featuring a black material with a multi colour crochet print design in a flare style. 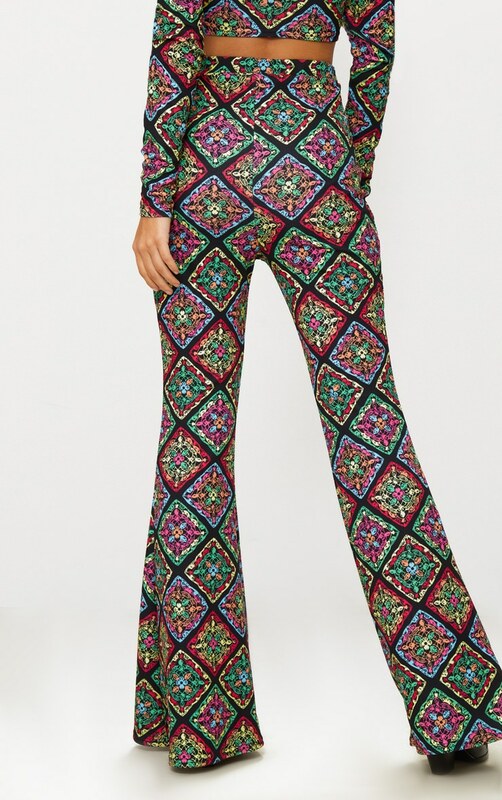 Team with the matching co-ord crop top and ankle boots for that ultimate look.